Much of the debate against raising tax rates on the upper bracket centers around how income taxes are computed on small business owners. The debate focuses on the way that pass-through income, which is earned by the shareholders of S-Corporations and Partnerships, gets taxed. What we need is a fundamental transformation in the way that businesses are taxed. A business should be treated as an investment, not a person. Once we have correctly defined the nature of a business, and how businesses ought to be taxed the rest of tax reform is easy. S-Corporations and Partnerships do not pay income taxes. Instead, income is passed through to its owners and taxed on their individual income tax returns. Owners of pass-through entities receive income from their businesses in primarily two ways. The first way is through salaries and wages, and the second is through K-1 distributions. Salaries and wages are reported on W-2 Forms and are subject to withholding, social security, Medicare, and federal and state unemployment taxes. K-1 distributions are reported to the shareholder on Schedule K-1, and are not taxable, nor subject to withholding or payroll taxes. K-1 distributions represent distributions of profit paid to the owners of S-Corporations and Partnerships. K-1 distributions get their name from the tax schedule on which they are reported, Schedule K-1. In addition to reporting the amount of K-1 distributions, Schedule K-1 also reports the shareholders share (as a percentage of ownership) of net business income, non-deductible expenses, capital gains income, and any pass-through deductions and credits (i.e. accelerated depreciation). K-1 distributions are similar to the dividends paid by C-Corporations, with one key exception. Taxable dividends are reported on Form 1099-Div, and taxed to the recipient as current year income. K-1 distributions are reported to the recipient on Schedule K-1, but are not taxed to the recipient as current year income. The recipient of Schedule K-1 is instead taxed on the entire net income of the business, which is usually far greater than the amount physically received as a distribution. The discrepancy lies in that S-Corporation and Partnership shareholders are taxed on their share (as a percentage of ownership interest) of the net income of the business, not on the amount of distributions they physically receive. Example – A small business has net income of $400,000, only one shareholder, and paid the owner a salary of $100,000 plus a distribution of $50,000. Under current tax law this shareholder has taxable income of $500,000, the entire net income from the business of $400,000, plus a salary of $100,000. But in reality, the owner has only physically received $150,000, a salary of $100,000, and a distribution of $50,000. The remainder of $350,000 was earned by the company, but has yet to be spent or distributed. Is it fair to tax the small business owner on $500,000 of income when she has only physically taken custody of $150,000? Foul! Anyone who thinks this is fair should make a voluntary tax-deductible charitable contribution to the federal government, and earmark it towards the national debt, which by the way is allowed under the tax code. This is the issue at hand. On one side, you have those who want to treat the lowly small business owner as a millionaire, and to tax her on income she has yet to receive; and on the other side, you have those who think it hurts the economy to tax unrealized small business profits, which businesses need to retain for future expansion. In order to make the tax code more equitable, shareholders of S-Corporations and Partnerships should only be taxed on the amount of income actually received. The amount of income received is comprised of salaries, wages, and K-1 distributions. Small business net profits should not be taxed until they have been physically paid out to shareholders. What is required is a simple change to Schedule K-1, instructing the shareholder to report the amount of distributions as taxable income, instead of the amount of net profit. Other pass-through income, losses and deductions will be capitalized at the corporate or partnership level and kept up with on a cumulative basis. When the business is sold, or otherwise disposed of, the original investment, plus any capitalized earnings, losses and deductions will be taken into account in determining whether the sale or disposition is a long-term capital gain, or loss. What my proposal will do is simply return businesses to their original purpose. 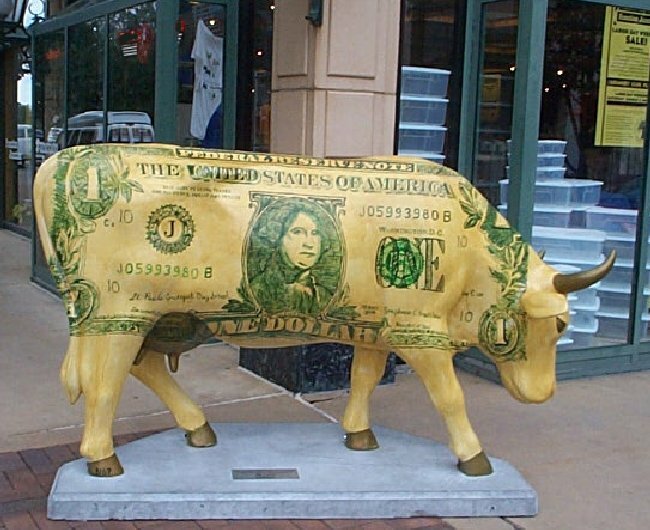 A business is an investment, not a cash cow for the government. Think about it. If you invest in $100 worth of corporation stock, and the value goes up to $10,000, you are not taxed on the unrealized gain each year, but rather on the realized gain which occurs when the stock is sold. Businesses are investments and should be allowed to grow as investments, and the only way this is going to happen is for the government to stop taxing unrealized business appreciation. My proposal will effectively lower taxes on small businesses which are operating as S-Corporations and Partnerships. Once enacted, it will result in economic growth on steroids, massive jobs growth, skyrocketing levels of entrepreneurship, greater freedom, and less dependence on the federal government. [Q] What if the S-Corp never distributes all of its income? [A] The income will eventually be distributed either in the form of K-1 distributions, salaries and wages to the owner, salaries to new employees; or it will be used to re-invest in new plant and equipment, or to make acquisitions. Any remaining accumulated profits will eventually be taxed upon the sale or disposition of the business. Among the reasons a business retains its income in the first place are to invest in the future, to repay debt, and to guard against future downturns. [Q] What about the tax on distributions in excess of a shareholders basis? [A] This problem is simplified by taxing pass-through shareholders on all distributions. There will therefore no longer be a need for tracking the shareholders basis for the purpose of taxing excess distributions. The shareholders basis will instead be tracked for the purpose of determining gain or loss upon the eventual sale, or other disposition of the business. [Q] Is a business an investment or a person? [A] Check the corporate resolutions. A business is an investment, which is owned by investors (i.e. shareholders). [Q] What about the issue of double-taxation on C-Corporations? [A] I believe it’s wrong to subject a C-Corporation to income tax, and then to turn around and tax a recipient of dividends on the same income. This is double taxation. A simple solution is to give C-Corporations a deduction for the amount of dividends paid. It’s just that simple. I was looking for some interesting small business blog for my small business. I will apply these details to my business. Thank you for sharing this one.